Conventional is our Chemical service which utilizes traditional weekly pool chemical treatments. Freedom is our premium Chemical Service which includes the Free Use of Our Salt Chlorine System. Freedom Enhanced which combines Premium Chemical Service with an Ozone or UV system to create the Ultimate low chemical swim experience. Enjoy the freedom of our Conventional Chemical Service. 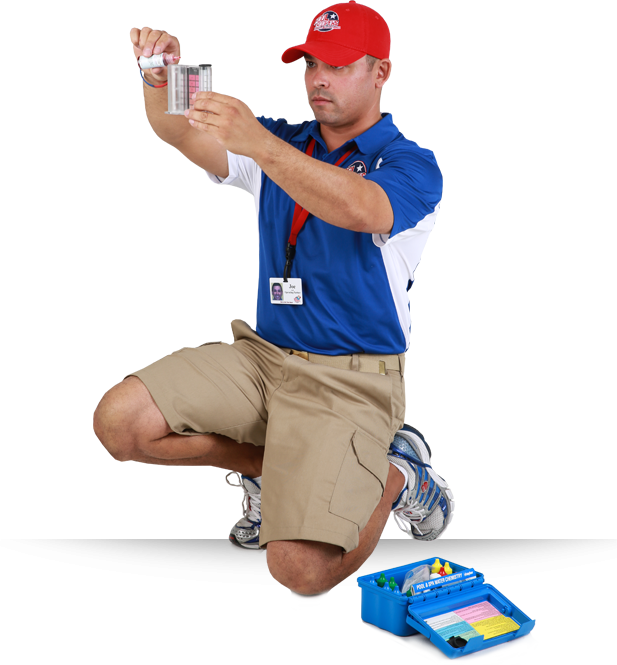 Our Conventional Pool Chemical Service includes all the necessary chemicals to keep you and your family swim safe and enjoying your blue clear pool, without having to buy, transport or store dangerous pool chemicals around your family, pets, and friends. Enjoy the freedom of our Premium Chemical Service. As part of our Freedom Chemical Service, we provide you with the free use of our salt water chlorine generator while you are on this every other week service. 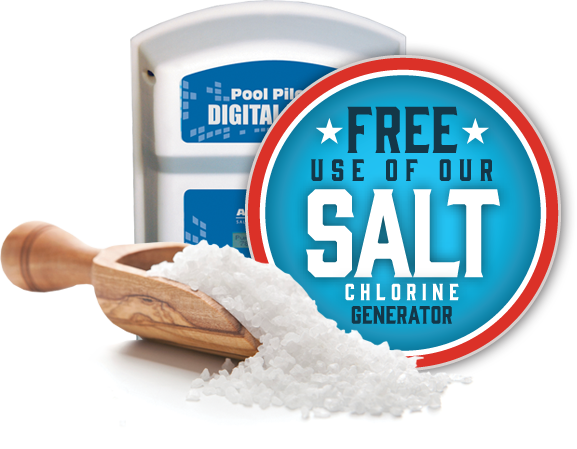 Our salt system automatically creates a low-level chlorine experience with smooth silky attributes to the water. This leads to reduced eye irritation and healthier swimming experience. Enjoy the silky smooth water of our Salt Water System with the combined power of an OZONE or UV system to give your family the lowest possible chemical swimming experience. This service is designed for clients who heat their pools or live in high-temperature environments or those that want the best possible swimming experience. This service works best with pools that utilize variable speed motor technology for longer, slower, less expensive run times. 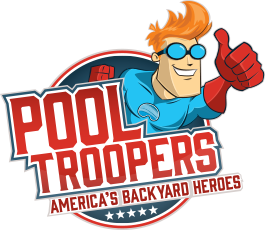 Why does Pool Troopers include the use of their salt system for free? We are always looking for ways to surprise and delight customers. Providing you with the use of our Salt System also ensures that we can guarantee swim-safe, clear and perfectly balanced water. We know the equipment because it’s ours, and we take full responsibility for its proper function and maintenance. If you cancel your Premium Chemical Service, we simply remove our salt system and re-plumb your original system at no additional cost. What if I already own a Salt Chlorine Generator? We service clients who would like to use their own existing Salt Water Chlorine Generator. Why is there an initial start-up fee between $25 – $50 for the Premium Chemical Service? The initial start-up fee covers the full assessment, additional visits and monitoring required to get your pool properly balanced and in perfect swim-shape at the outset. Typically, if your pool water is in relatively good shape the start-up fee is somewhere between $25 to $50. If the pool has any unforeseen issues the fee may be $75 or higher in rare situations, but if that’s the case Pool Troopers will always discuss and quote the fee prior to any work being done during the start-up period. Every pool on our Chemical Service Program is charged an annual fee of $15.00 which covers the cost of stabilizer (Isocyanuric Acid) that your pool receives throughout the year. This important chemical acts as a chlorine stabilizer in your pool, allowing it to persist through the activation of sunlight. We charge $15.00 on your March billing for this ongoing service.